A few weeks ago, I posted a link to a review of the second half of the Shadowbridge duology, Lord Tophet. 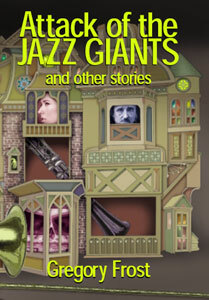 And now out of the blue comes a somewhat late-to-the-party review of my short story collection from Golden Gryphon, Attack of the Jazz Giants & Other Stories. I have to thank reviewer Chris East for his very kind words as regards the stories contained therein. Going to go strut around and drink whiskey now (I know, I know—how’s that different from any other night?). Living Grand Master of Science Fiction (and Nebula Award winning author) Samuel R. Delany joins Oddcast this week to talk about his latest novel The Atheist in the Attic, about a meeting between philosophers Leibniz and Spinoza set during a frightening period in the history of the Netherlands. Along the way he reveals how one early major work of his was lost forever, and also how he came to be called “Chip”.